Ice Air Single Package Vertical Air Conditioner and Heat Pumps (SPAC/HP) provide reliable performance, high-efficiency operation and allow ultimate design flexibility. These All-In-One air conditioning (package Units) are convenient for applications where every inch of space counts. •	Dual motor design – delivers quiet indoor air flow. •	Variable condenser CFM – allows for customization. •	Optional ECM motors – provide high efficiency and improved air quality. Our units meet all UL standards and conform to ASHRAE 90.1. They are ETL-listed for safety in the U.S. and Canada. Ice Air manufactures its hybrid units in a multitude of piping configurations with a wide variety of options and accessories to create a custom design tailored to the needs of the project. 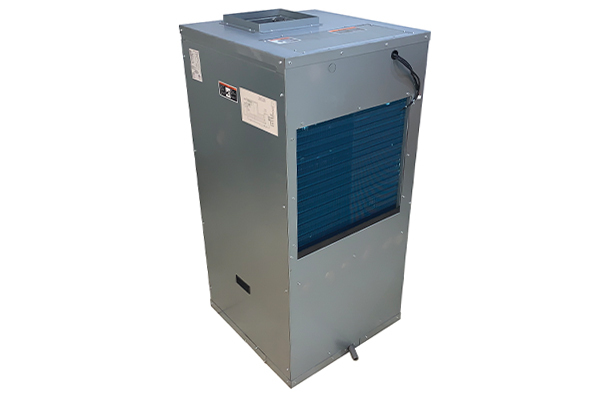 Whether you want to replace an existing air conditioner or heat pump – or reduce your energy costs with a Hybrid solution – Ice Air Single Package Vertical Air Conditioner and Heat Pumps (SPAC/HP) packaged products are the creative solution.